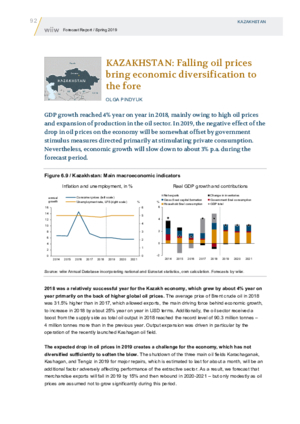 GDP growth reached 4% year on year in 2018, mainly owing to high oil prices and expansion of production in the oil sector. In 2019, the negative effect of the drop in oil prices on the economy will be somewhat offset by government stimulus measures directed primarily at stimulating private consumption. Nevertheless, economic growth will slow down to about 3% p.a. during the forecast period.